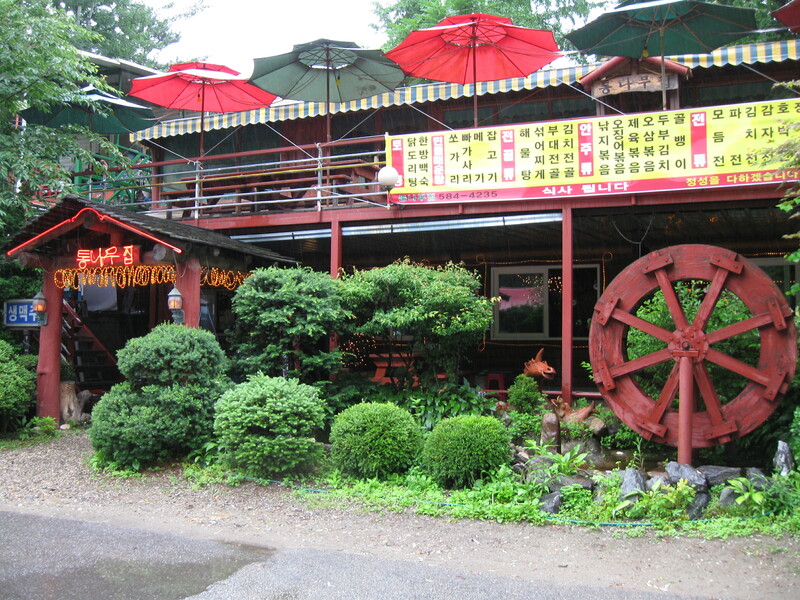 Vacation in my backyard – Hello Korea ! Today I had only one task to do, and I spent the entire day getting to it: which is really lovely to not rush to do something, allowing me a little serendipitous exploration. Long story, but once a month I must travel to either Chuncheon or Seoul to transfer money to the U.S. to pay my stateside bills. I’m late this time because of the art installation, so I decided to take my time and meander over to Chuncheon today. It costs me more, as the only Kookmin bank branches are spread out and I must take taxis to wherever they are, but I just didn’t feel like battling the crush of Seoul today. On my way to the train station (because I’m a creature of comfort) I also decided to check out the only health club in town, thinking that some physical exercise and endorphins would help my mental state. Unfortunately, (or fortunately since I can’t speak Korean and it would have been another frustrating scene) there was no one there. I took off my shoes and gave myself a walking tour. It was really dirty and disappointing. The typically immaculate Korean floors were filthy and my feet were covered in dirt after. And there wasn’t a rowing machine in sight, or any stretching classroom, and the weight room seemed too full of testosterone to handle a little girl like me. In the lady’s (Yoja) changing room there were bras and underwear hanging everywhere. It seems they just wash and rinse them and leave them there. Because there was no one in attendance, I stole a towel and washed my feet off (as I am bare-footed in new sandals) and left. 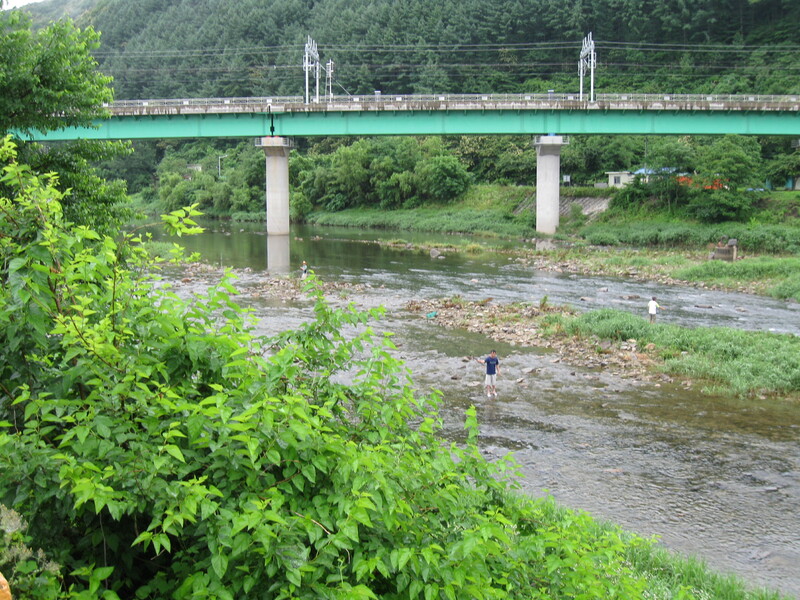 On the walk to the train station I noticed three men fishing in the river. It was kind of scenic so I took photos, not knowing how the scale of them would translate against the mountains once posted. 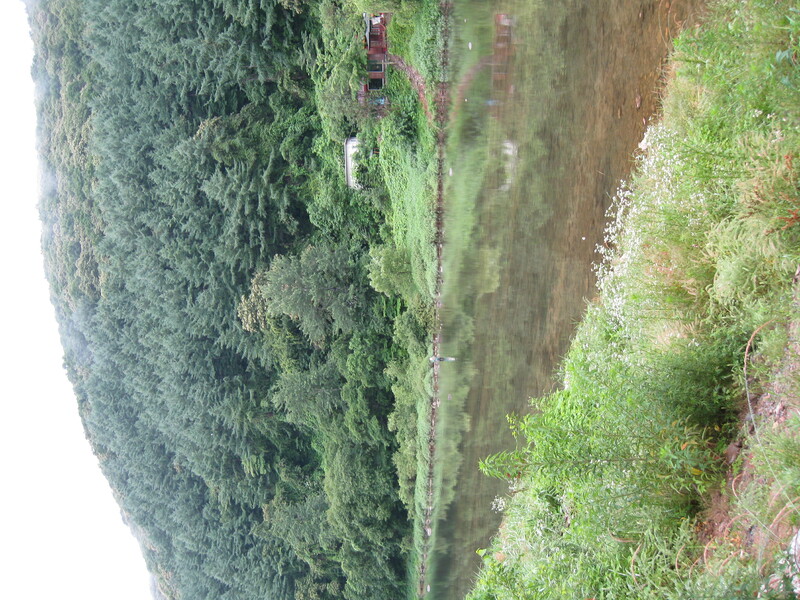 But as I proceeded I saw more and more men fishing in the distance and so, instead of taking the fork to the left towards the train I continued along the river and discovered the resort area of CheongPyeong. With each meter traveled, I walked further away from my small town and school and Korea and crushing loneliness and frustration and into a R&R heaven, and suddenly this huge weight just lifted off my shoulders. Suddenly, I was in Jamaica or some other paradise. 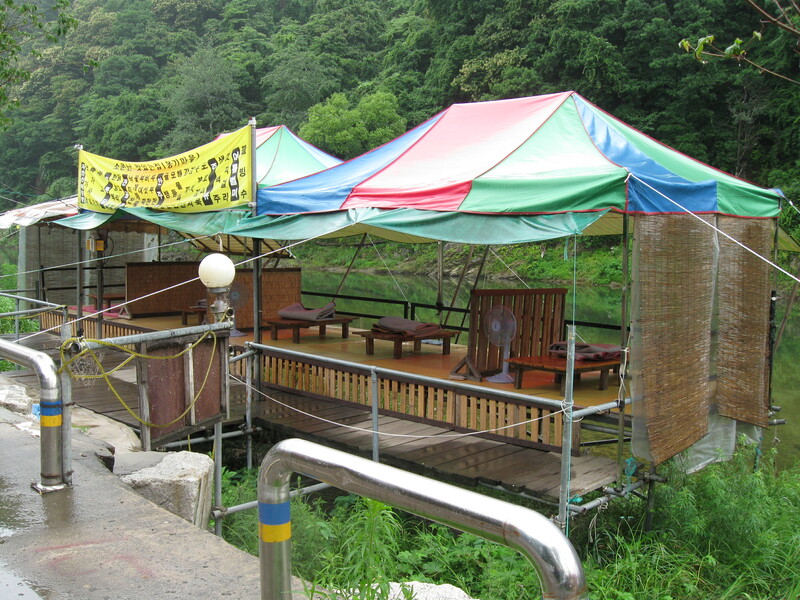 The run-down shops turned into funky pensions, cafes and bars playing groovy chill-out music and Seoul residents could be seen playing in the river. 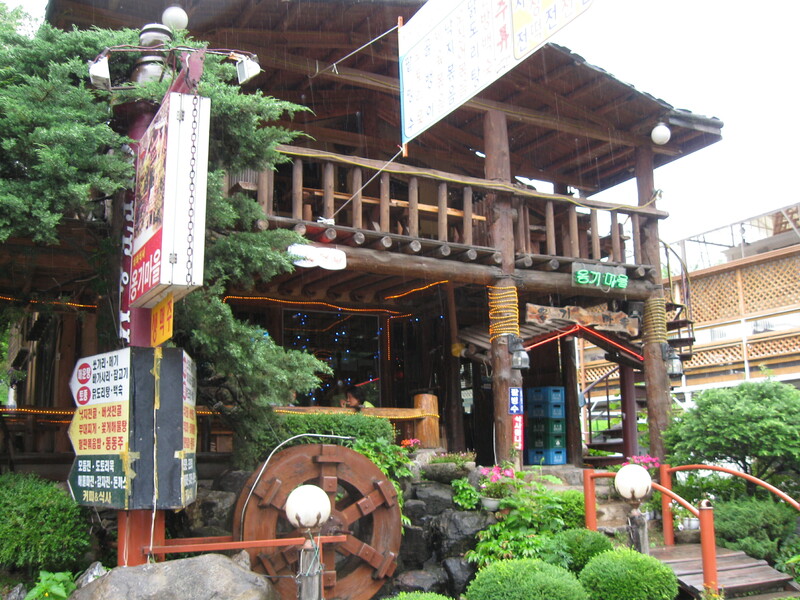 I stopped and had a beer (maekju) at an especially charming hideout and smoked in privacy, enjoying the music and the scenery. It’s no wonder people from Seoul come here. 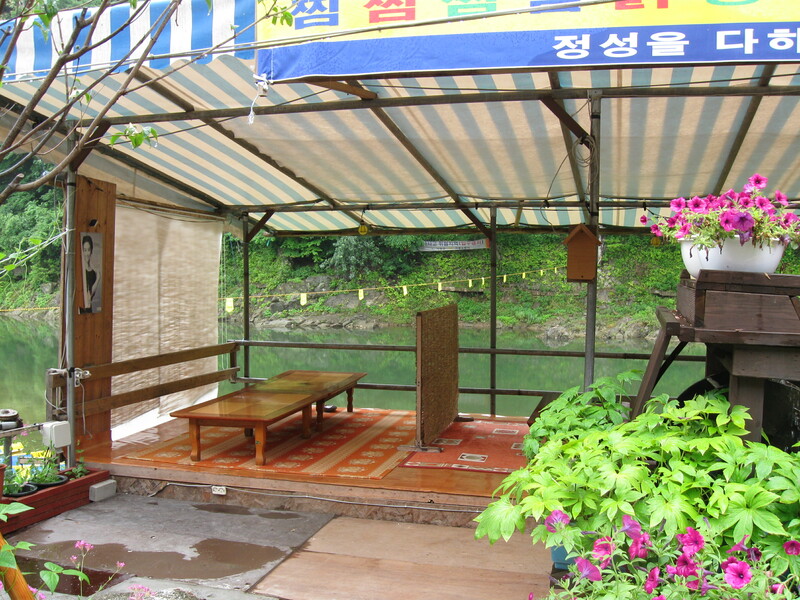 And it’s better than most of the other places I’ve been to because it’s off the radar from the Korean tourism listings. So it’s more low-key and as yet undiscovered and will hopefully remain so. (let’s hope some K-drama doesn’t decide to shoot a film here) The only draws here in CheongPyeong are the fake French village called, Le Petite France, and the arboretum called Land of the Morning Calm. But here along the river it rivals the nearby big draws in beauty but without the hype and crowds. Nice. I live a 20 minute walk away from heaven. I can come, have a beer and a smoke, and nobody’s going to watch me or register my presence. 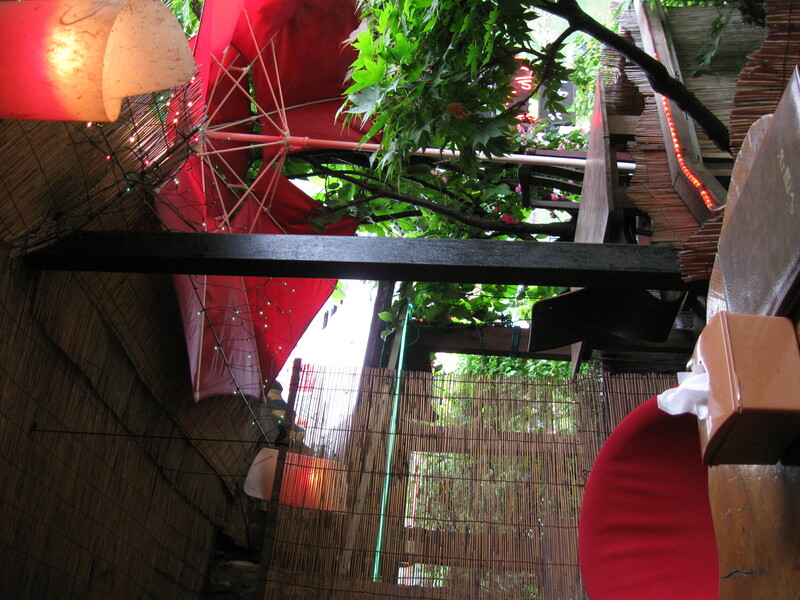 It’s a perfect place for friends to wind down and just relax, or for couples to hold hands and stare into each others’ eyes. And it’s okay for me to have a vacation from my daily life, even though It would be perfect if the former were possible. I need to walk around my town more and see if there are any other gems I don’t know about. 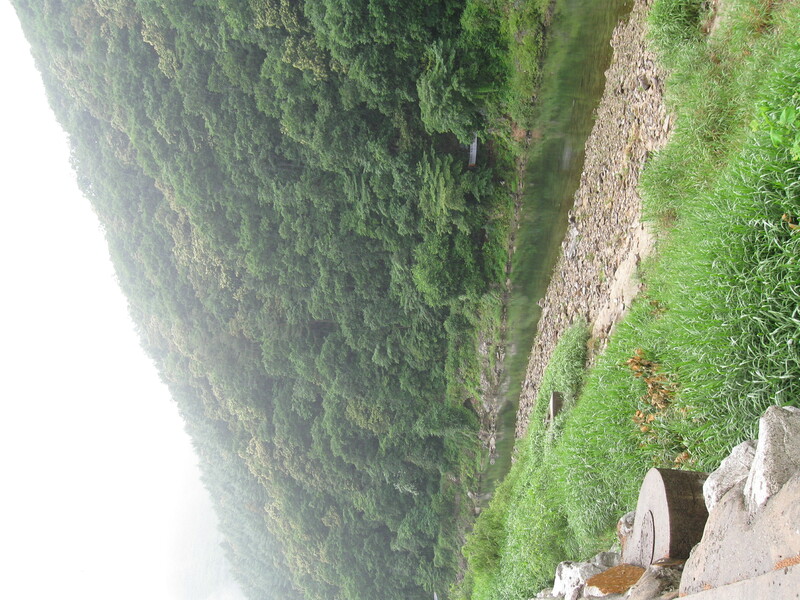 I seem to recall another B&B (pension) lined river branch from the train window on the ride in. I guestimate that’s just another ten minutes walk from my school. Hope to check that out soon. 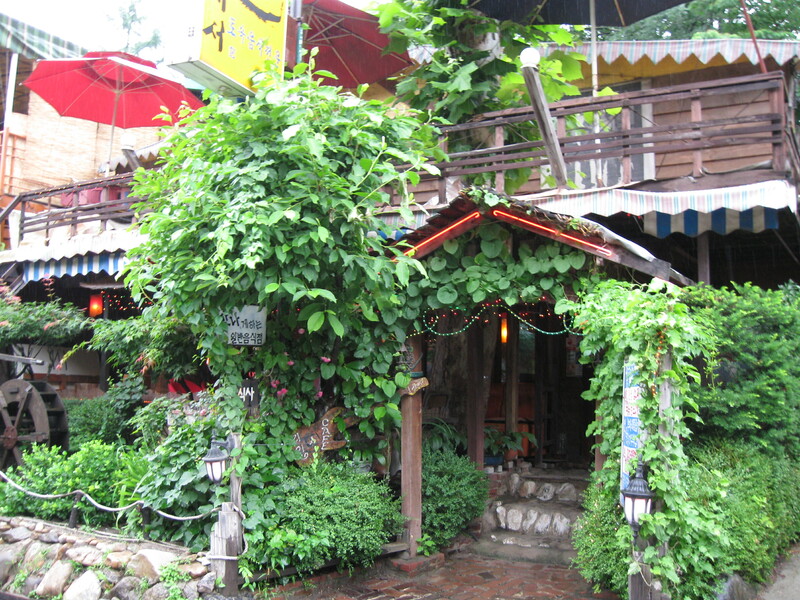 It seemed a little more quaint and lovely. Ok, Seoul friends, please come visit soon! 1) Korean government is capable of making a law to prohibit the exportation of what they consider as national treasure. 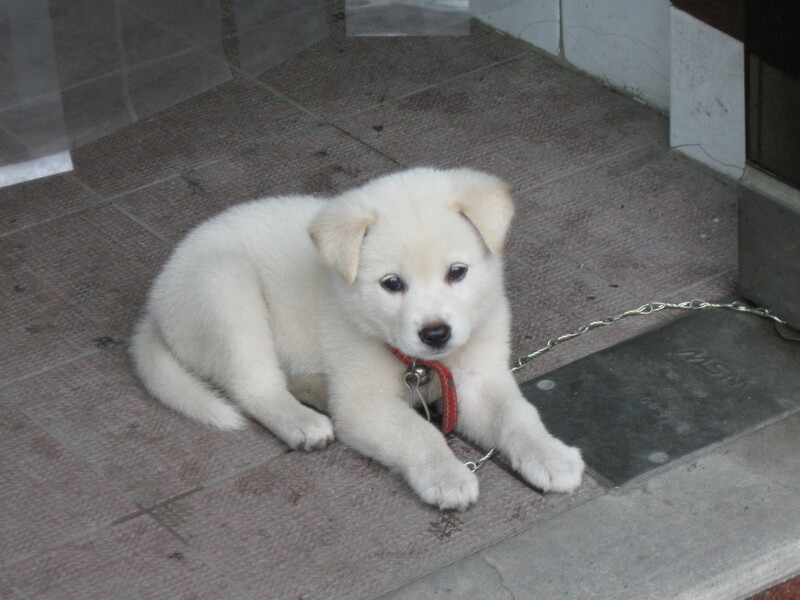 2)If we were born as a purebred Jindo, we would not have been exported from Korea. May I have the baby Jindo picture? Yes. Jane has used that line before in interviews! Dogs have more protection than Korean children. I’ll send you the photo if you want it real large, or you can click on it and then right click and save the image at the uploaded/crunched size. Just let me know if you want it big or not.